Welcome to another week of Teachers That Pray - today, let's pray for CONSISTENCY. 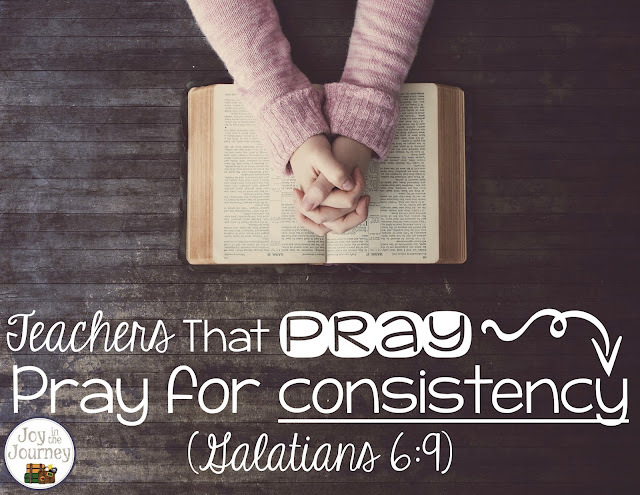 Pray for consistency in classroom management. Set your expectations high, have clear expectations, and hold your students to the standards you have set. I know it's tough. It can be draining. But it's so important. Your classroom will run more smoothly and your students will feel safe and confident in a classroom with consistent expectations and consequences. Pray for consistency in your grading. Keep things fair. Don't grade when you're over-tired or cranky. Each assignment is a fresh start for each student - don't grade today's writing assignment based on yesterday's poor behavior. 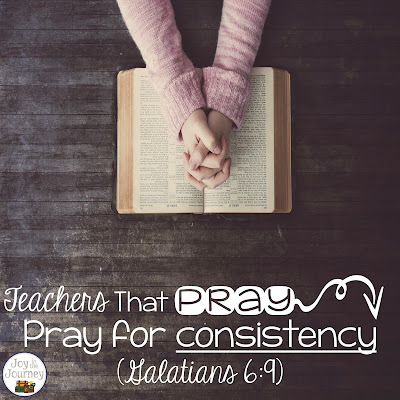 Pray for consistency in the time devoted to lesson planning. Spend time praying about what activities and ideas would be the most helpful for your class. Don't always just do exactly what you did last year. This is a different class. They have different needs. Different abilities. Different learning styles. 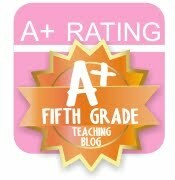 Put forth consistent effort to meet those needs - your students deserve it. The verse I have chosen for today is Galatians 6:9 "Let us not become weary in doing good, for at the proper time we will reap a harvest if we do not give up." 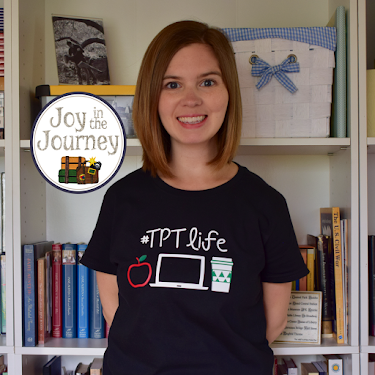 Do not grow weary, dear teachers - the Lord has PROMISED a harvest, but we must not give up! Keep plugging away - plan those engaging lessons, love your students, invest in them, and stay consistent. What area do you most need consistency in? Leave a comment below - I'd love to pray alongside you! 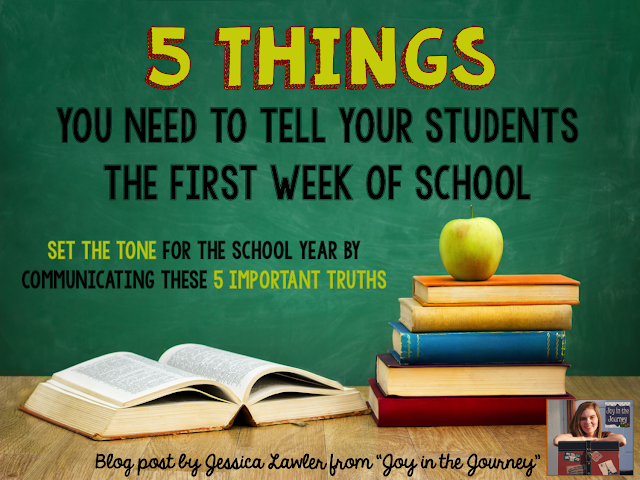 Feel free to share with a teacher friend who might need to read this today. *Teachers That Pray is a weekly series. Each Monday morning I post a prayer prompt for teachers to use to specifically pray for. 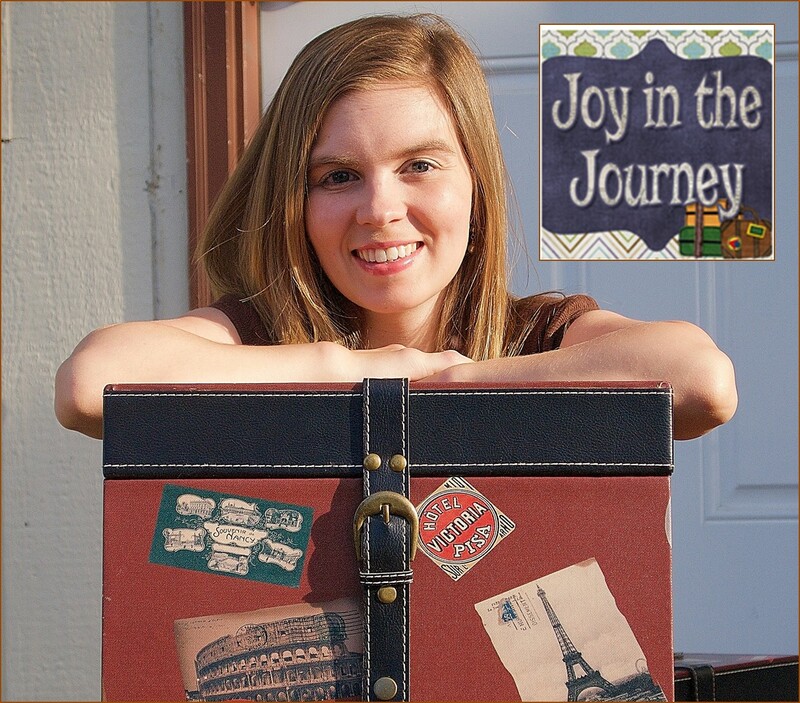 I'd love for you to join me!